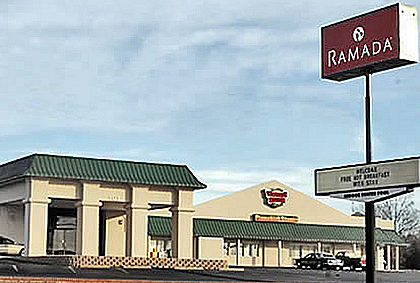 Travelers find complete services at Ramada, a name you can depend on. Here, at Ramada of Mountain Home, guests enjoy the indoor heated pool and large on site restaurant serving a sumptuous FREE breakfast buffet. Enjoy free coffee in your room or in our lobby from 5 a.m. until noon. Comfortable rooms have microwaves and mini-refrigerators along with full tubs and showers, or select a two-room suite with a Jacuzzi for an additional charge. Choose from smoking or non-smoking king or queen beds (plush mattresses). Laundry or dry cleaning is available.